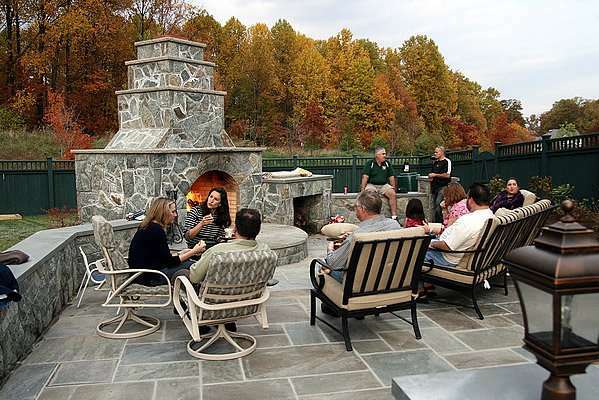 At East Coast Landscape Design, we build outdoor cooking solutions for any landscape and any budget. Outdoor fireplaces create a cozy focal point in an outdoor living room and help extend your time outside in the spring and fall by creating warmth on cool nights and brisk mornings. Fire pits bring warmth, light and a place to congregate with family and friends. Make s’mores, grill some steaks, or relax with your coffee to the mesmerizing crackle and pop of a wood burning outdoor fire pit. East Coast Landscape Design can create a highly affordable custom-made outdoor fireplace or fire pit in any style or fashion. Whether you need a wood burning circular fire pit, or a square gas-powered fireplace, we can build your outdoor fireplace or fire pit for lasting enjoyment.